Starline track busbar power distribution allows for optimised power distribution in mission-critical data centres and server rooms. 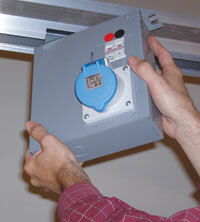 The track busbars, consisting of modular and expandable aluminium profiles, can be easily fixed on the ceiling, under a drop ceiling or installed in the raised floor (plenum). Power is provided to the power feed at the end of the busbar. 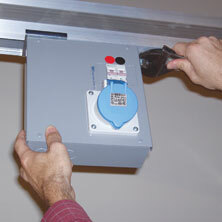 From there it is distributed through the track system without the need to pull cable. Power supply outlets with custom configurations can be added at any location along the busbar power distribution tracks without the need of external companies. The power plug-ins can be single or three phase for AC or DC connections and in just about any combination you can think of. Adding power to a dynamic and mission-critical datacentre has never been so easy. Starline is designed to be future proof, while meeting the demands of today’s constantly changing mission-critical data centres and server rooms. 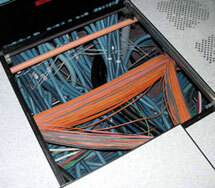 Totally different than traditional power distribution panels and cable whips, reconfigurations are completed in minutes, not weeks by simply inserting and rotating the power outlet plug-ins wherever you need it – all this without the interruption of power or the chance of a short circuit due to the installation of new cables. 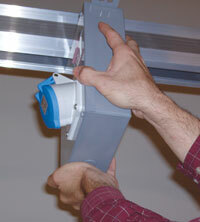 As there is no costly and time consuming cable to install, the return on investment is almost immediate. Corresponding to each individual datacentre’s requirements you can extend the redundancy of your Starline solution by simply adding parallel track busbars. The Starline Power Distribution Solutions are designed for IT surroundings with highest demands regarding security, availability, flexibility and scalability. Therefore Starline is very often implemented in mission critical data centres, test and demo labs, where each interruption of the power supply can have a dramatically impact on the security of sensible data or business transactions and the running of your business. It is good to know that you can rely on Starline all the time. Find more detailed information about the Starline Track Busway. More information about the powerful Starline plug-in-units. Starline – Your first choice, since reliable power is everything.